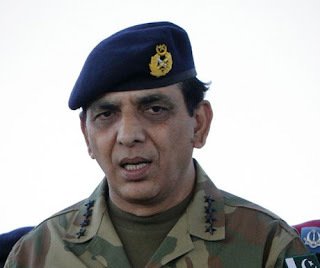 Pakistan's Army Chief General Ashfaq Pervez Kayani has said that Pakistan is going through tough time and we need to get united as one nation in this situation. General Kayani was addressing in GHQ with army officers. He said all the institutions made mistakes in the past but now its time to look forward and untie in difficult situation. He said whole institution should not be blamed for the mistakes of the individual people. Army Chief said we should correct our past mistakes so that our future can be bright. These statement from General Kayani has came at a time when cases of several Ex-Generals are getting heard in the Supreme court of Pakistan.